The HondaJet is taking part in a modern day spin on the classic Around the World in 80 Days when a pair of customers take it on a global tour beginning August 4. 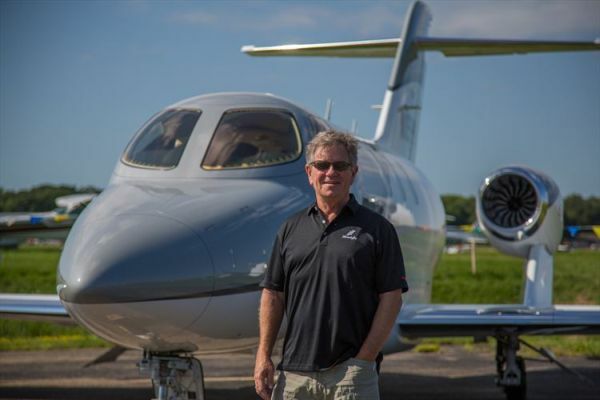 Honda Aircraft's customers Julian and Kim MacQueen will fly their HondaJet to up to 26 countries as part of the tour, they have entitled "Around the World in 80 Stays." As leaders in the hospitality industry, the MacQueens will use the tour, in part, for research related to their business, visiting hotels in various cultures. The HondaJet will also be used for static showings and possible demo flights for potential customers at some airports during the tour. This is the first around-the- world flight for HondaJet, presenting an excellent opportunity to demonstrate HondaJet's capability and performance in many countries across the globe. "I am very excited that our esteemed customers decided to use the HondaJet for their world tour," said Honda Aircraft President & CEO Michimasa Fujino. "I hope many people around the world will see the HondaJet in person and to see its high performance, quality and reliability." "We are very much looking forward to meeting lots of interesting people, and learning about hotel service cultures and design in every country we visit to bring back to our hotel company, said Julian MacQueen. "We selected HondaJet for this world tour based on its trustworthiness, user-friendliness and comfort." The world tour will begin August 4 at Pensacola International Airport in Florida and conclude when they return to the U.S. in the middle of October. Honda Aircraft will post regular updates of the tour via its social media channels (facebook.com/HondaJet & twitter.com/HondaJet). For more information, visit www.HondaJet.com.